Why Small Businesses Matter puts a spotlight on the local merchants who donate their time, talent, goods, and services for the betterment of our community. The shop local movement spreads virally as local businesses who are “tagged” have the opportunity to share their story. 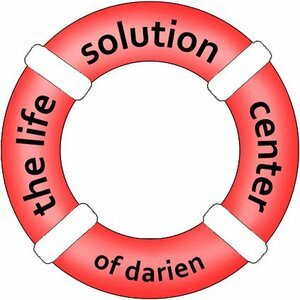 You're IT The Life Solution Center of Darien! Three questions with The Life Solution Center of Darien. Problems are a normal part of living. Most of the time, life's problems are not confined to one area. Maud Purcell, MSW, LCSW, CEAP and seasoned Psychotherapist, saw the need for a one-of-a-kind consortium of independent businesses and practices designed to treat the whole person. As approved by our clients, our professionals work together to provide the highest and most thorough level of care for those going through any type of life transition. ...get the word out to the community about our unique collaborative community of professionals that provide prevention, treatment, and multi-disciplinary answers to life's problems. Life is hard enough -- we try to make it easy to see the professional you need with our in-house referral system. Our professionals and areas of expertise include Psychotherapy, Psychological Services & Medication Management, Medicine, Health & Nutrition, Substance-Related & Addiction Issues, Financial Management & Advising, Legal Services, Investigative Services, Lifestyle & Wardrobe, Consultation, Coaching, & Career Management, and Educational Services & Tutoring. How many people do you employ? Any youth or seniors from the community? Approximately 30-35 people -- but we always growing our group of professionals! The Life Solution Center of Darien is located at 28 Thorndal Circle, 3rd Floor in Darien. Visit them online here. The Life Solution Center of Darien tags Darien Women's Boutique, Helen Ainson!